1. Why do you hate paper so much? Ok, so no one has asked me this to my face at a conference. But my colleagues and a few students have. I've made an effort to preempt this question when I share at professional conferences by using this comical advertisement. Funny, right? No, I don't hate paper. It has an important place in our lives and in our education system. In fact, although students don't have to keep any paper and I do not hand out paper as part of my class, I do post QR codes that are printed on paper throughout the room so students can scan them and quickly get access to resources. We are paperless in the sense that nothing is distributed or recorded on paper, but I suppose we use a few sheets a week for QR codes. My five-year-old comes home with drawings she has poured her little heart and soul into from kindergarten every day. I adore them. They are on paper. I do not hate paper. 2. What about the kids who are texting/tweeting/gaming while they're on their devices in your class? Are you worried they are missing out? 3. Does a paperless environment really help students learn better? It isn't that the learning is better or worse, I just see it as different. There is little or no memorization required, although students learn facts through the process of analyzing information and creating something from it. Instead, my focus is on building their capacity to learn rather than telling them how to learn. Here's an example from the backchannel at our workshop last week. The first message is a question from a teacher and the response that follows is from a student. So, rather than tell them how they must use their devices to learn, I give them a historical essential question -- I am a history teacher after all -- and the resources they need to find the answer. I suggest a way they can investigate, analyze, and create something that demonstrates their learning. I also suggest the apps that might make that possible. But if they have different ideas and different apps, I'm open to them and I usually say, "Yes!" As long as they are learning the content in their own way, they are building their personal capacity to learn. 4. My students are already "digital natives" and know more than I do. 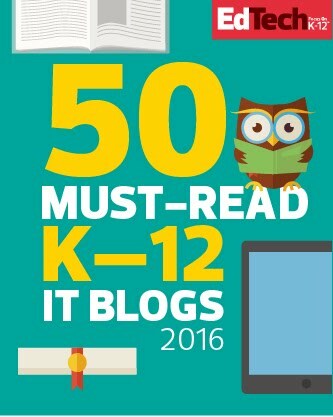 What could I possibly teach them about tech that they don't already know? "Just because they're digital natives, doesn't mean they are digital learners. #Thatsmyjob" #masscue2014 Thanks @KerryHawk02 well said! They need to learn to find resources that are authentic and reliable from the plethora of high and low quality information available. They need to learn how to use social media to make contact with people outside their community who are experts in the field. 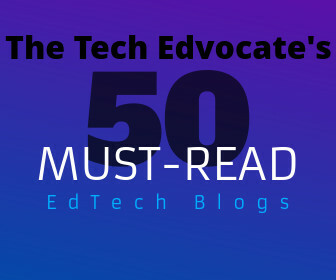 There are countless other ways technology can be leveraged to learn in new ways, and they need teachers and parents to help them realize the possibilities. 5. You must be a 1:1 school. How could I possibly do this when my school isn't 1:1? Actually, we are a BYOD school. This means students have secure access to wifi in our building. They bring and use their own devices in school. I happen to believe in this model more than 1:1 where schools choose the tool for the students. My students are teenagers and, in conjunction with their parents, have a right to choose how and what they use to access the world. No one device fits all. I do think every students should have some kind of device, so I'm on board with 1:1 in that sense, but not when this means the device choice is made for the student. There are several students in each of my classes who do not arrive with a smartphone, tablet, or netbook of their own. But our school has laptop carts and iPads. With planning, I can ensure that the students who need them can access them every day. What about the paperless homework? assigned, so students have time to plan ahead for access. Of course, nothing is flawless. For my students and I the paperless model works and I have watched their enthusiasm for history grow as a result of the possibilities a paperless environment creates. Going completely paperless is not necessary, but if educators teach their students to leverage the power of connecting ideas and people through technology I truly believe they will see a positive shift in their classrooms. Our students make us laugh, drive us crazy, and inspire us to better ourselves. They shouldn't just be the reason we teach, they should be a part of the teaching. Yesterday I had the opportunity to present at MassCUE with 6 of my current and former students. Watching them present was a proud moment, but it wasn't my favorite moment of the conference. I knew they would blow the presentation out of the water. I knew they had prepared well and that their session attendees would learn something. The BEST part of my day was watching them experience, learn, and network because of the unofficial opportunities the conference creates. My students had met members of the Burlington High School Help Desk via Google Hangout a couple of times thanks to the vision and urging of Jennifer Scheffer. Meeting face to face, talking tech, and planning for future brilliance took their networking experience to a whole new level. They were buzzing with excitement as they shared hot chocolate and ideas. When the Rockets Help Desk crew decided to go to Reshan Richards' session on his vision and creation of Explain Everything, they didn't find seats and sit politely to listen. The found some carpet on the back wall and played around with the app as they listened to his ideas about learning and creating. 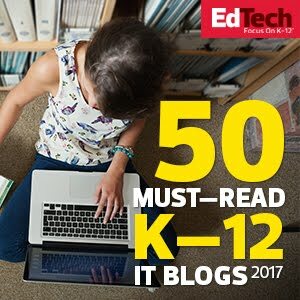 For them, experiencing a workshop as an edtech conference is about more than receiving information. They needed to create their own understanding as it was happening. After listening to Reshan Richards and trying out his tool, the girls were excited and ready to build something new. They wanted to talk with him and arrange for more time to pick his brain. I encouraged them to walk from the back wall up to the front. They introduced themselves, told him why they love Explain Everything, and asked if he would be willing to do a Google Hangout so they could carry on the conversation. He said, "Yes!" and even gave them Explain Everything t-shirts. They are so eager to build a relationship with this influential and visionary educator in a real and authentic way. I can't imagine how far this will take them. The kids are chomping at the bit to go to another conference. So my new mission is to connect them with conferences and opportunities to share their ideas and create new ideas with educators and experts. I can't wait to see what they do. History teachers know that lessons on exciting events are easy. It's teaching the philosophies behind those events, the intangibles, that is tough. I needed a quick engaging plan to help the kids learn the material without watching them glaze over before my eyes. This time I was teaching the 19th century ideologies that influenced the European Revolutions of 1830 and 1848: conservatism, liberalism, nationalism. My plan was for the kids to come up with their best 1 minute presentation and go head-to-head with one another to find out who could best explain their ideology while entertaining their audience. Classmates would vote for the winners. 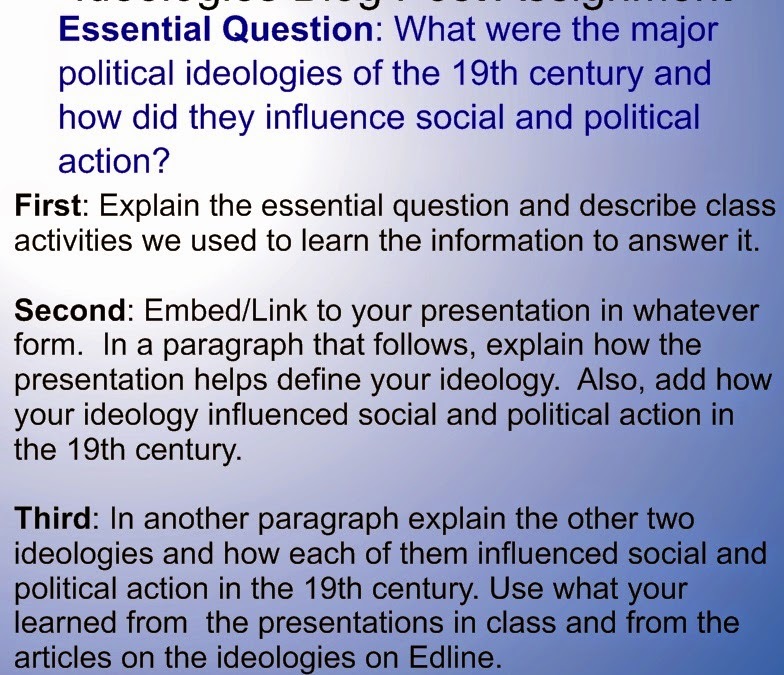 Define the word ideology and give students resources that describe the three 19th century ideologies. There are 3 ideologies in this instance, so I divided the class up into 6 groups: 2 groups per ideology. Groups read the resources and come up with an accurate, teacher-approved answer to the essential question: What were the major political ideologies of 19th century Europe and how did they influence social and political action? Groups review their notes from Day 1 and start planning their 1 minute presentation for the throwdown. Once a plan is in place, groups show me their scripts, images, props, and sketches so I can ensure that everything is historically accurate. The 1 minute presentation must be recorded, saved, and ready for the throwdown before students leave class. Groups perform/play their 1 minute project. The rest of the class tries to arrive at a definition of the ideology. This definition is approved or edited by the performing groups. The class votes for the best 1 minute projects! 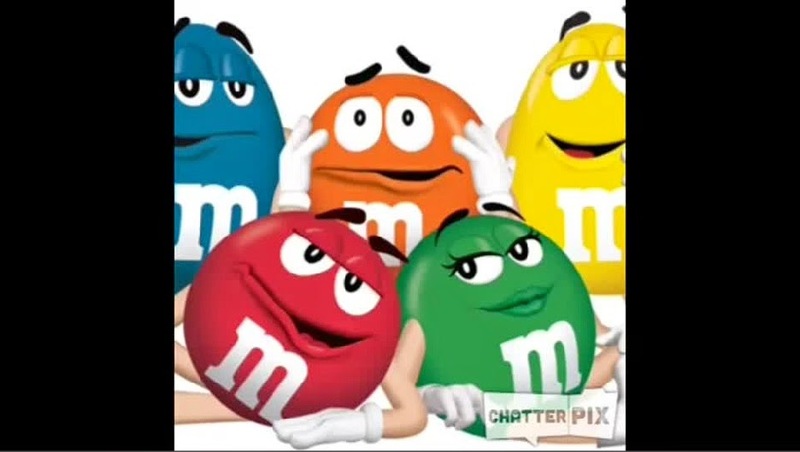 Click here to watch an appsmashed video made with ChatterPix and Videolicious. My students demonstrate their learning by posting reflective and informative blog posts using Blogger. Here is the assignment for posting on this lesson. While this lesson might not be considered "fun" from a teenage perspective, it definitely had them laughing and trash-talking a bit. They had a stake in producing a high quality result because they knew they would show it to classmates and compete. They also liked that they have a lot of choice over what the final product would be. Over ten different apps were used by the groups, and some used no apps at all to put together their live skit performances. This teaching method could be used to help kids learn about political parties, economic concepts, constitutional principles, and lots of other intangible but essential concepts that are part of history. Give it a shot and have fun! Some educators from my amazing PLN from #BFC530 created an off-shoot group called Student Connect. We have a Voxer group that allows our students to leave messages for one another from across the country. Lisa's 11th and 12th graders in Pennsylvania can talk to my 9th and 10th graders in Massachusetts can talk to Scott's 7th graders in New Jersey can talk to Sarah's 7th and 8th graders in Georgia can talk to Becca's K through 5 students in Texas. We come up with the question for each day and the kids talk to each other about their answers. They LOVE listening to voices of kids from all around the country thank to Voxer. They laughed together when eating waffles was mentioned as a fun weekend activity. They shook their heads together when the stress of the PSATs was mentioned. One of my sophomores said, "It's nice to know they're the same as us." Day 1 Question: What do all kids want every teacher to know? 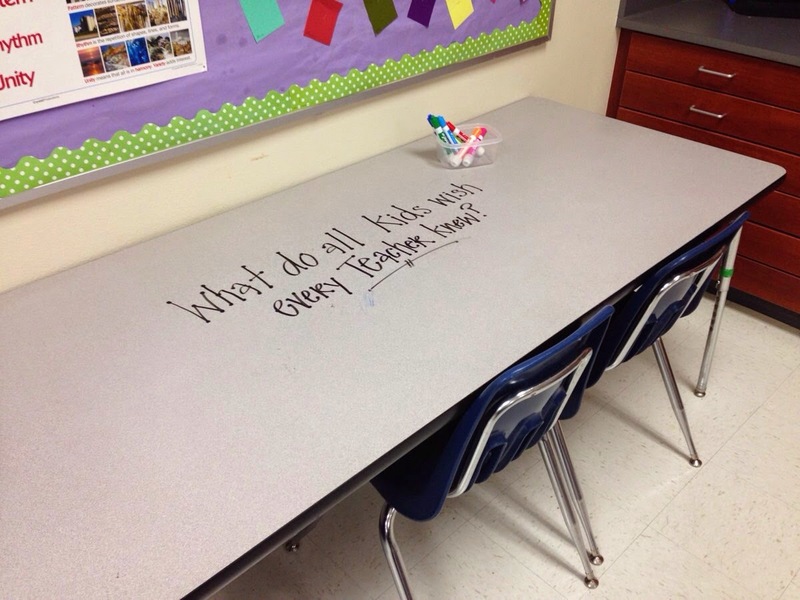 Becca used a table as a surface for kids to write their answers. I decided to do the same after she gave me the idea! Here are the responses from classrooms all around the country and from students as young as 5 and as old as 18. Lack of sleep was a major theme. Day 2 Question: Happy Friday! What are you looking forward to this weekend? Sleep appears again! Boy, these kids are stressed. 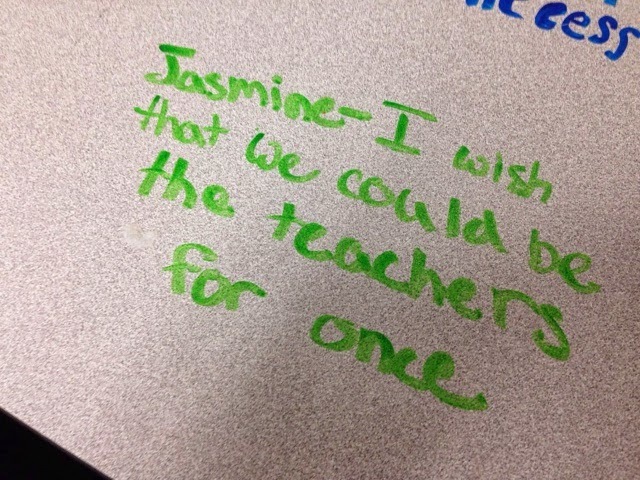 In a post from earlier this school year I wrote about how my students have a common wish for all their teachers: Get to know us! This message came through loud and clear once again. They also want us to understand what part of their crazy schedules they value the most. They are overbooked, overtaxed, and seriously lacking sleep. At the same time, they want time to focus on the things they are passionate about. In fact, in a one-on-one meeting with a 10th grader I had this afternoon, she vented about how stressed out she was and about how all the adults in her life expect a full commitment to school/sports/arts/etc. Her statements was, "I get commitment but I don't get obsession." That certainly made sense to me. I don't want this new addition to my classes to be another project to pile on top. Instead I want it to be something that makes kids feel like there are others out there who understand how they feel. I can't wait to hear more from my students and my friends' students from all around the country. When they hear each other speaking they feel connected, and when I see them getting excited about this new unofficial project of ours, I feel more connected to them. One sophomore said to me. "I like walking into your room, seeing the question on your desk, and writing my ideas before we get started with class." That sweet spot, where we all feel like someone is listening to our voice, that's where the learning happens. 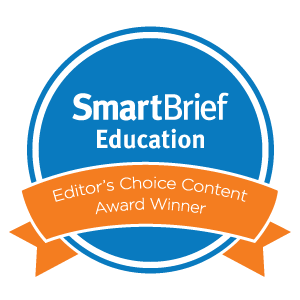 I was honored to be invited by Dr. Will Deyamport, III to write a post with my students about our experience with a paperless classroom. The link is below. Please read and comment! Thanks Dr. Will! How global is Massachusetts? Well, the infographic below might be helpful. But, the real question we need to ask is: How global are Massachusetts classrooms that are preparing Massachusetts students? I'm just at the beginning stages of this new pedagogy of global learning. I wish I'd arrived at it sooner. Last week my sophomores had a 45 minute video chat with the expert historians Jamie and Darren at the Museum of Science and Industry in Manchester, England. 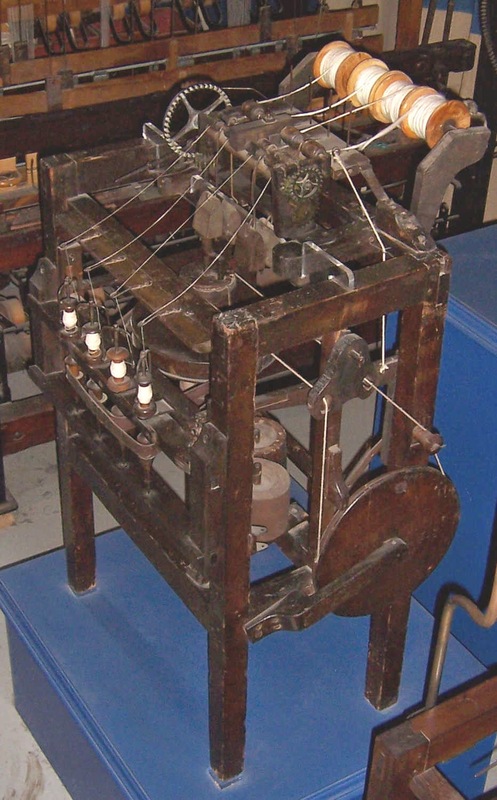 After studying the evolution of textile machinery, they got to see a prototype Arkwright Water Frame live via Google Hangout. They learned about urbanization, the health of women factory workers, Luddite protests, and the enslavement of orphan children. 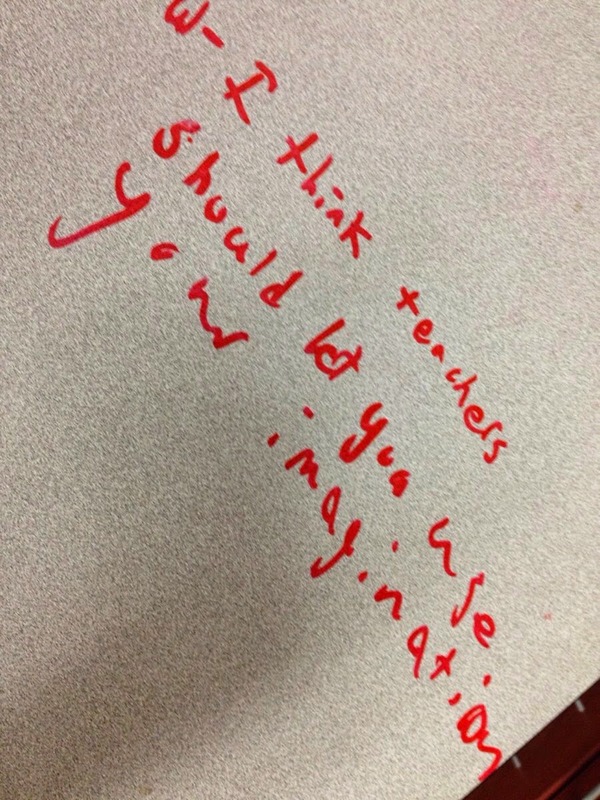 After being part of an international chat, my students wrote about what they learned and how it was different than typical classroom experiences. I did learn a lot because I was interested in the topic and could interact with the person who was teaching. I liked that we could see him actually touch the machines and turn them on so it could be demonstrated the way it worked [sic]. The only thing that was bad when how the sound and picture were getting delayed. I wouldn't hesitate to do it again. The mill owners didn't care very much about the conditions of their workers and fatalities because they just cared about their profits. They even used orphans as workers so they wouldn't have to pay them. All they had to do was feed them and give them a place to sleep. This was a very memorable event, and a few months from now I will remember this unique opportunity and the information about the factories much more than I would have remembered it if we had just copied notes or listened to a lecture. .. 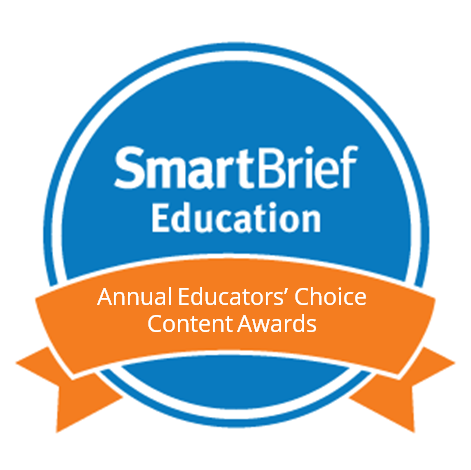 The experience got us engaged in the information, and I would definitely want to do this with other experts on different topics throughout the year. My new challenge as a teacher is to keep my students connected to the outside world. If I'm preparing them for a global workforce, they must be learning globally now. Real life doesn't happen inside the 4 walls of a classroom. ...Not to mention that I couldn't help but get caught up in the fun myself.